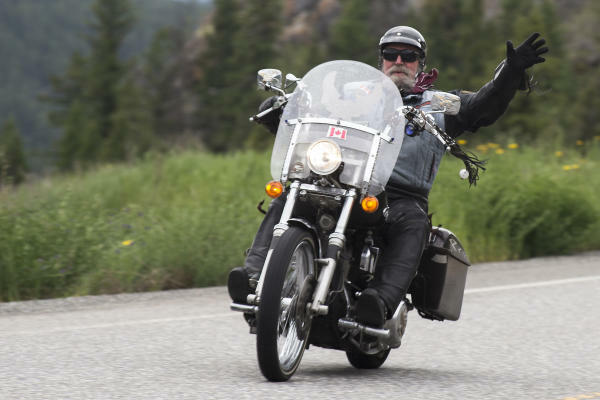 When you’re riding to Kamloops for next month’s Western Regional HOG Rally, you’re going to get this feeling that something is very different here. First, you are about to discover we’re one of the very few semi-arid, desert-like regions in Canada. That means sagebrush, rolling grasslands, hoodoos that remind you of the badlands, deep blue skies and even cactus. We’re not all desert though, as we have too many lakes to count as well as 2 major rivers that run right through town. Here’s the kicker for bikers though...Everything I just mentioned has 2-lane, paved country roads running alongside them and these roads are designed for motorcycles. It’s all about twisties, sweepers, hills, full throttle straight stretches and scenery you’re not going to find back home. But wait, there’s more and it’s the secret few others know. There’s hardly any cagers on these roads. Not all but almost all those family vacation vans and SUV’s, big slow RV’s and 18-wheelers want the happy meal, no-effort, 4-lane freeway and that leaves the good roads for us! 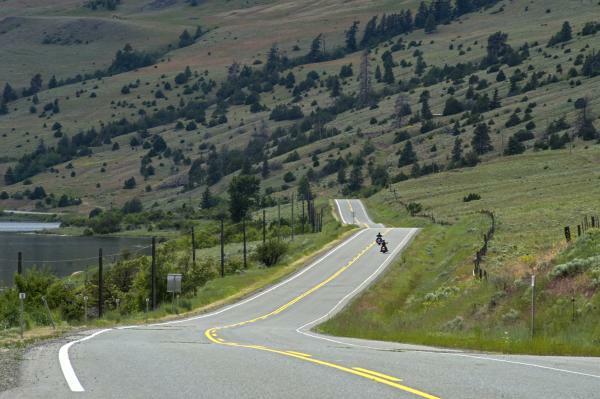 It is a biker’s paradise and you’ll know it too after coming up here for the Regional HOG Rally. 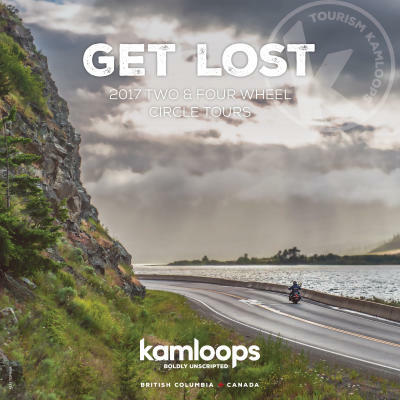 The Rally starts on July 13th and if you aren’t already registered, go over to the Kamloops Rally Facebook page http://tinyurl.com/y95vqg35 and download your registration. And no more of this “I’m thinking about it” as registration closes on the 30th, although you can register on site if they’re not sold out. They’re expecting about 600 bikes and close to a 1000 people, so it’s a biker’s weekend in a biker friendly town, on biker friendly roads that you’d be crazy to miss. Besides, procrastinating leads to lawn cutting, doing laundry and grocery shopping weekends instead of 3 days of Harley Davidson good times. 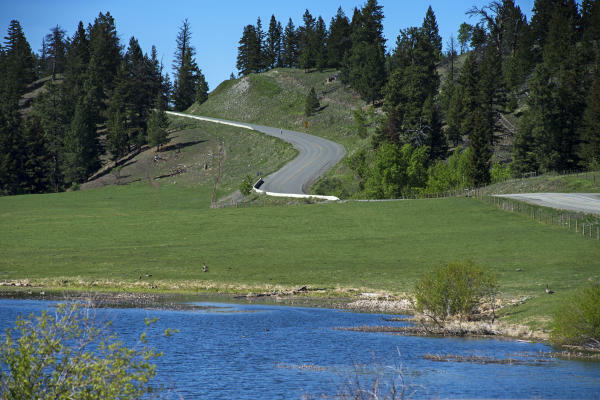 If just for The Poker Run on Friday, get up here as it’s on one of the best routes in the area and features my favourite ride along Hwy 5A to Merritt. You’ll think you’re riding in a bike commercial on this road. Later, when you switch over to Hwy 97C, you’ll go by the Left Field Cider Company and trust me, you’ll want to stop there. 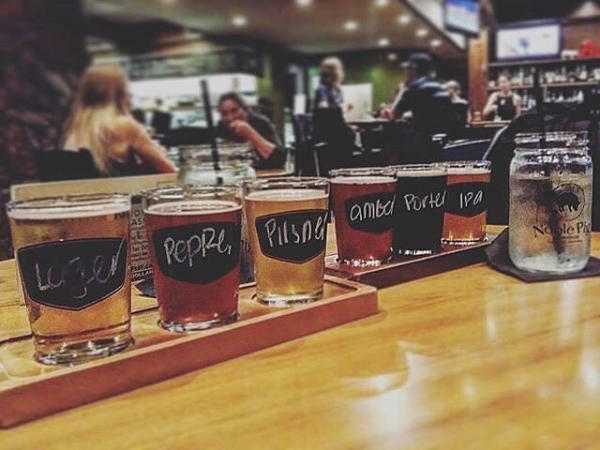 Speaking of craft brewers, we have 3 great craft beer pubs in Kamloops: The Noble Pig, The Red Collar and Red Beard Cafe and you gotta make time for all three. We like our beer in Kamloops and for a town of only 90,000 people; we make the kind of beer you’d expect to find in San Francisco, Portland or Seattle. Again, trust me on this one and just do it. Friday also features a Twilight Ride up to the world-class ski resort, Sun Peaks and after you get off the highway, the ride up the mountain is something special. 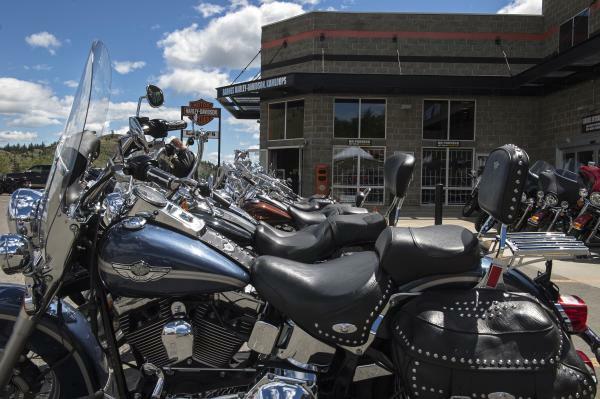 If you want to be part of a huge (800 or so riders) Rally group picture, make sure to be at the Kamloops Coast Inn Saturday morning for the start of the HOG Chapter parade. From there it’s a full day of events including show-n-shine, field games and vendors like Barnes Harley Davidson Kamloops and food trucks. It’s happening at the KIB grounds and everyone, including non-bikers are invited. I never moved back to Vancouver mostly because of the roads around here. I can be over to Kelowna, check out a few wineries and be back in Kamloops that evening. Or head up to the Cariboo Plateau (3800’) and the Lake Country (and the Iron Horse Pub in Lone Butte) and be back here chilling at the Noble Pig that same afternoon. Helmcken Falls (taller than Niagara), the Fraser River Canyon, Osoyoos (US border), the Clearwater River (white-water rafting) The Shuswap (boating)...well you guessed it, the list of day rides really does go on. So here’s the biker pitch. If you’re not already planning on coming to the Rally, stop procrastinating and bring back some of that let’s just do it attitude. You know, those spontaneous moments that seem to always create the best memories. Part two of that pitch? Try and add an extra day or two to the Rally weekend because I know that once here, you are not going to want to go back. That feeling I mentioned earlier will happen and you might want to quit adulting and just keep riding.